Organizing your phone booth-sized closet is one of the many joys of living in a big city. And by joys, I mean actual nightmares. 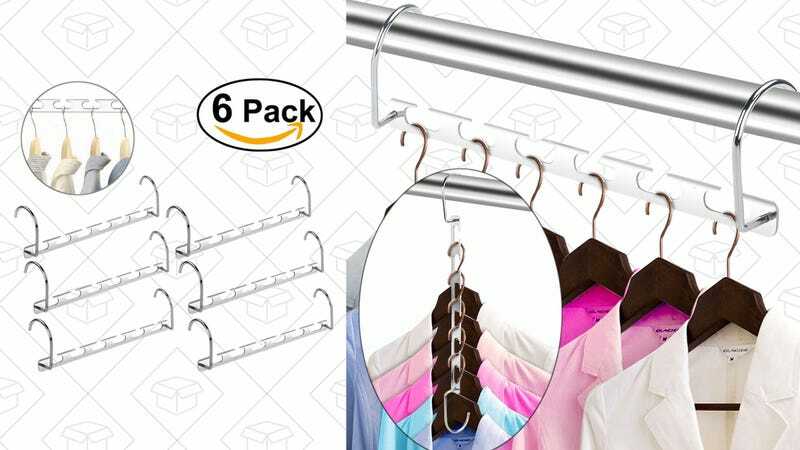 Make it a little easier on yourself and get a 6-pack of Wonder Magic Hangers for $9 when you use the code HANGERW6. They hang up to six things and then drop down vertically to save space like...magic.